Solar System - PIPELINES, Inc. The old farmhouse had gone through a lot of heating and domestic hot water changes in its three and a half centuries of life: first there was the big central chimney with fireplaces in each room where a pot of water would be heated for bathing, then a coal fired boiler and companion coal fired water heater followed by an oil fired boiler with a coil in it. The coil was there to take the heat from the boiler’s water through its walls to make the house’s hot water, a system with limits, the worst of which was the boiler’s water had to be kept at a temperature high enough to supply hot water whenever a tap was opened. This meant the oil burner fired every 20 minutes, winter and summer, keeping the boiler hot, running down the oil tank and running up the bills. 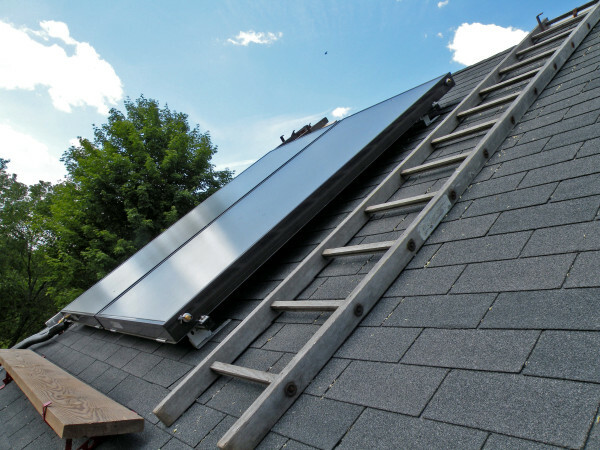 One heating change the house hadn’t needed was its siting- houses of that era were south facing for a good reason- solar gain, and that made this house a great candidate for solar thermal hot water making. Here we are on a beautiful June day, just about to start the system for the first time. You can see the old front door here on the south side of the house, and notice we have to keep the panels covered until we can start the fluid pumping through them or they will be over 300° in a New York minute in all that sun. 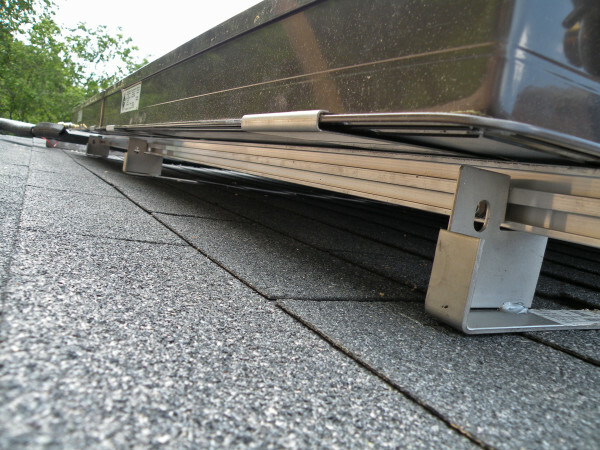 Here’s a picture of the way the panels are attached to the roof. 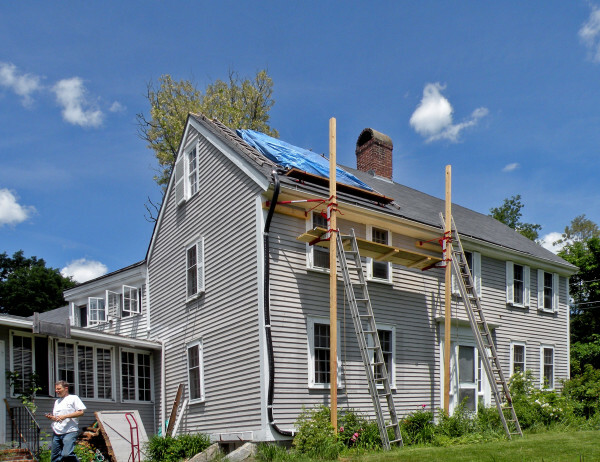 Once we knew how many panels we needed (two, based on the size of the storage tank and needs of the homeowners), and where we wanted them located, we went into the attic and added structure between the old rough-hewn, bark covered roof rafters. This gave us meat to bolt our brackets into. The upper part of the bracket slides under the shingle tabs so everything stays sealed. 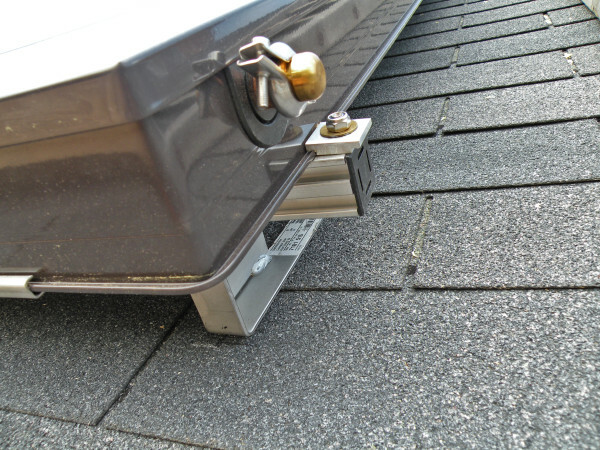 The sturdy rails attach to the brackets and hold clips and stops that cradle and anchor the panels firmly. Panels link together so their internal tubing becomes one pathway, part of the circuit from roof to storage tank to roof again. We cap off the ones we’re not using. 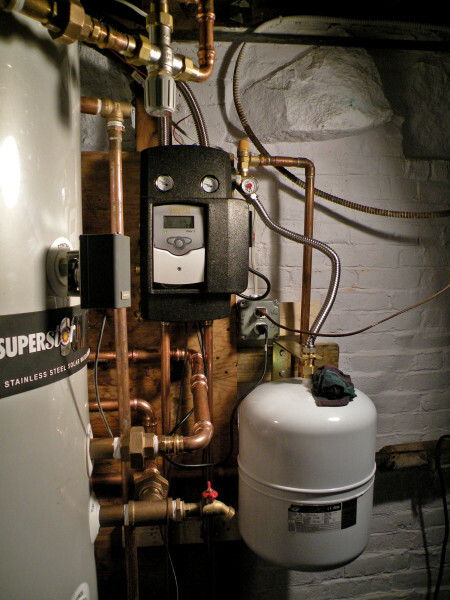 In the cellar, we decommissioned the old boiler coil and aquastat, and repiped the heating portion of the system to make the new domestic hot water tank and piping into its own zone. This allowed the oil burner to stay off unless the sensor in the tank got too cold and asked for help from the boiler. We combined the zone controls in one neat relay box, with priority for the domestic hot water. The indirect tank for this application had two heat exchanger coils- the bottom one for the solar heated fluid to pass through, and the top one for the boiler, so the boiler could be called on to heat the water when the sun didn’t shine. We connected the panels on the roof to their pump and tank, set up the control, filled the outdoor section with antifreeze mixture and let nature do the rest. The boiler still fires, sometimes even in the summer. Sometimes.